The all-new Hyundai Santro is just months away from being launched in India. Hyundai has codenamed the car AH2 and the automaker is yet to reveal the exact production name for the car. Word on the street is that the Santro badge will make a comeback considering the high preference for this particular nameplate by both dealers and customers. Notably, the Santro will be Hyundai’s first car in India to feature an automated manual transmission. Gaadiwaadi reports that the AMT unit in the new Hyundai Santro will be called ‘Smart Auto’. This christening is likely to resonate with buyers who’re now used to AMTs being referred as Auto Gear Shift (AGS) by Maruti Suzuki and HyprDrive by Tata Motors. The new Santro is expected to sit in between the Hyundai Eon and Grand i10 in terms of price and positioning. However, the long-term game plan will be to phase out the Eon and replace it with lower priced variants of the Santro. For now though, Hyundai has not revealed many details on this front. The new Hyundai Santro will be a petrol-only car, with dual fuel CNG and LPG options for specific markets. A 5-speed manual gearbox will be standard while the 5-speed AMT unit will be optional. As for pricing, expect the new Santro to start from a little under Rs. 3 lakh, in order to look very attractive to first time car buyers. The 1.1-litre petrol engine that once did duty in the first-generation Santro is expected to make a comeback with heavy revisions, in the new model. This engine was also used in the i10 for a few years. The car’s design will get Hyundai’s latest waterfall grille as revealed in a recent crop of spyshots. A tall-boy design is also likely, in keeping with the overall form factor of the original Santro. 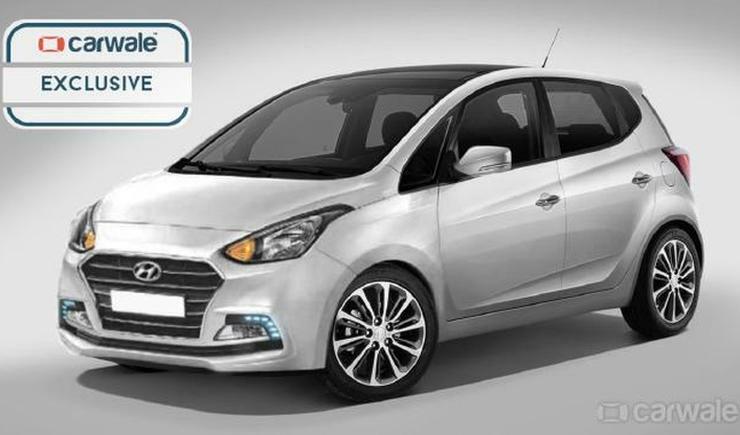 The new Hyundai Santro is expected to arrive into India sometime in September, bang in the middle of the festive season, when vehicle buying is at its peak. Hyundai has already begun promotional activities around the new car.